Grave tales are happening the classroom and on screen at Webster University this month. Curated in conjunction with a film studies course of the same name, “Grave Tales” is a selection of films screening Thursday nights in January and February in the Webster University Film Series. “Grave Tales: Horror in Media and Culture” (FLST 3160) is taught by Aaron AuBuchon, associate professor and chair of Electronic and Photographic Media in the School of Communications. As part of the course, students get to hear from David J. Skal, a renowned writer and documentary filmmaker who is visiting campus. 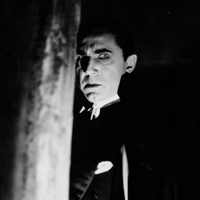 Skal will introduce this week’s films, the 1931 classic “Dracula” and his own genre documentary film, “The Road to Dracula.” Skill has written about “Dracula” in several books, and “The Road to Dracula” is packaged with every Legacy Collection version of the film. At Thursday’s screening, he will answer questions and lead a discussion afterward sign books. Also during Skal's visit, he will speak to the Documentary Filmmaking class, and AuBuchon will interview him for a documentary on horror fandom. Jan. 17: "The Cabinet of Dr. Caligari"
Feb. 7: "The Curse of Frankenstein"
The above films screen in Winifred Moore Auditorium. Visit the Film Series calendar for times and admission for these and other films.